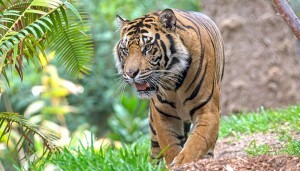 Tigers are Carnivores, and so are you! 10% of all the people in the world are Tigers or carnivores. A Tiger is considered a “Protein Type”. In the blood, Tigers are the APOE 2 type. The protein type of eating following the proper amount of macros (as listed above) will nourish your “Tiger” needs, prevent and reverse chronic disease and pain. Are more susceptible to type 2 diabetes and other conditions like high triglycerides, high insulin, insulin resistance and high blood sugar. Good News: Tigers have great heart disease prevention as long as sugars stay under control. As a protein type, your body converts sugars into energy too quickly. Heavier foods were rich in protein and fat slow down the rate of oxidation. • Do not eat carbohydrates alone. Ex: Don’t eat just an apple, eat an apple with nut butter (healthy fat) or protein (egg). • Choose carbohydrates wisely. Non-starchy are best (all veggies, squashes, root vegetables etc). You can still have occasional low sugar fruit like berries but in lower quantity. • Beware of bread and grains; Tigers really should avoid them if at all possible due to the high glycemic index and the conversion to sugar. • Freely use HEALTHY fats and oils. • It is recommended that you eat your protein and fat first, then your carbohydrates. A poor lifestyle, regardless of genetics, elevates your risk of all conditions. Lack of exercise, smoking, poor nutrition habits or overeating cause havoc for everyone, but Tigers in particular. Follow the “Tiger” recipes & way of living, and you will find your balance and improve your health!